Please follow the signs all the way to the designated area. Our event area has its own entrance and ground lot. Parking signs will be posted for the event. We typically have two family 'outings' during the school year and ask that parents make the time and effort to join us. We'd like our parents to meet the families with whom their children spend more than eights hours of their day. Aside from merely spending time together, our children have formed very close bonds and truly beautiful friendships. Let's celebrate their friendships and grow closer as a school family. 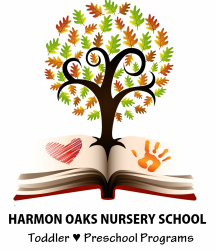 Please note, Harmon Oaks is only able to provide wristbands for children presently attending Harmon Oaks. For each sibling, an event fee of $20 will be due on November 10. Each sibling (over 18 months of age) will be provided a wristband to enjoy all the activities planned, admission to the Animal Farm Center, and other exciting activities organized for Harmon Oaks' event. Finally, while we'd love to host everyone we most appreciatively consider a part of our family, this event is strictly for the children, siblings, and parents of present Harmon Oaks families.